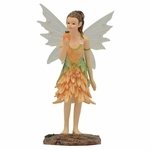 This gorgeous summer fairy figurine is by Jessica Galbreth. 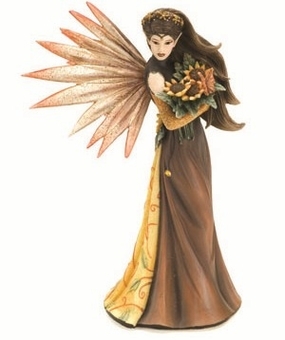 The pixie holds a lovely bouquet of sunflowers, upon which rests an orange butterfly. 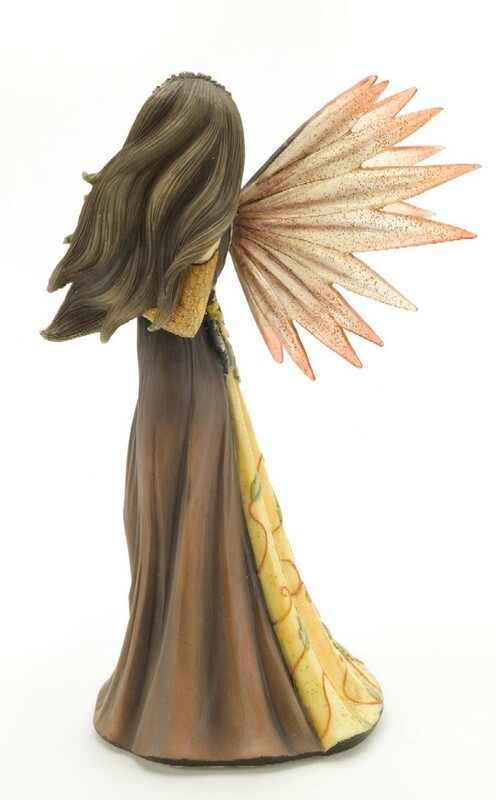 The faerie is glad in a brown gown with a sunshine yellow back, decorated with vine designs. The fae's wings are sparkly and transparent, with shades of brown and tan. This dark-haired beauty is the perfect collectible for any faery lover!